One week, three games. 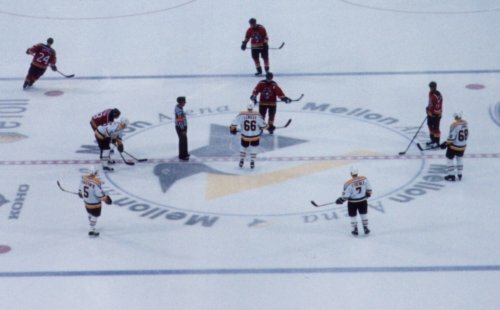 That was the point of the whole trip to Pittsburgh - to watch Mario Lemieux lead the Penguins out onto the ice and finally experience the big show, the NHL!! The Penguins opponents? Stanley Cup favourites Colorado Avalanche, struggling Florida Panthers and the blueshirts, New York Rangers. 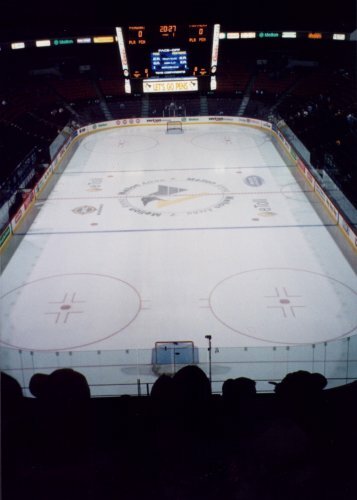 Our first experience of NHL hockey was on the Monday (19 February) with a 3pm face off against the Avs. 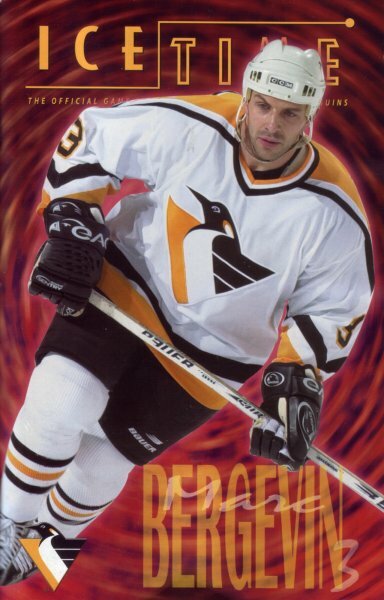 The Penguins struggled to a 5-1 loss with Peter Forsberg’s line dominating the game but in a way the result wasn’t that important!! Sure, we were disappointed the Penguins had lost and I was doubly disappointed that Mario had note recorded a point but just the experience of being at an NHL game and finally seeing the greats such as Mario, Jagr, Kovalev, Forsberg, Roy, Bourque and Sakic to name but a few was unbelievable. These were guys we had only ever seen on TV back home in England!! looking at each other thinking what’s going on then we realised - I think we finally got used to them by the middle of the third period on the Friday!! 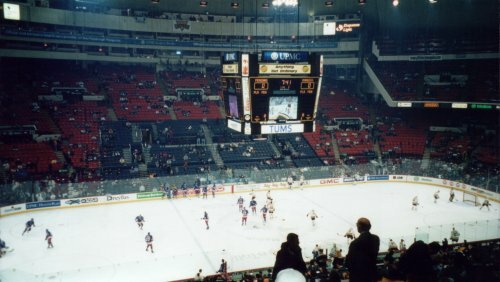 Our second game of the week, on the Wednesday (21 February) was the Pens hosting Pavel Bure and the Florida Panthers. The first period of the game saw the Penguins hold the Panthers shotless - something I had never seen in a game before. 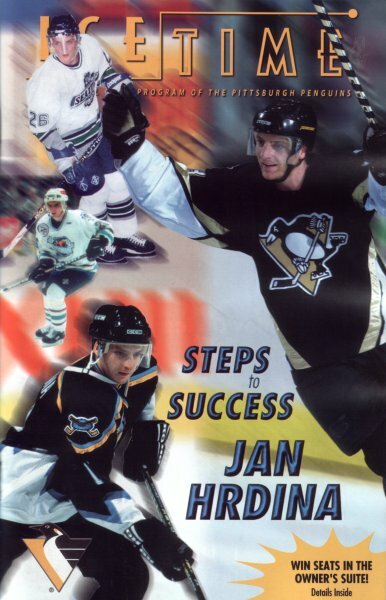 The Penguins took what looked to be a relatively easy 2-0 lead only to see the Panthers claw their way back to 2-2 with their superstar Bure scoring one of their goals. So, after the defeat against Colorado, the Panthers game went into overtime. Up steps Mario Lemieux - on the power play in overtime he rips an absolute beauty of a shot, a one-timer, from the left face off circle and past the impressive Roberto Luongo to win the game for the Pens!!! That goal will live in my memory forever as the first goal I saw #66 score in the flesh!! 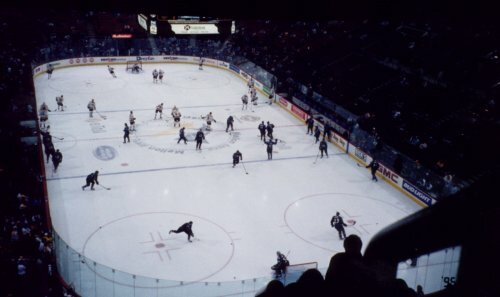 Our third and final game of the week was the visit of the Rangers to The Igloo on 23 February. 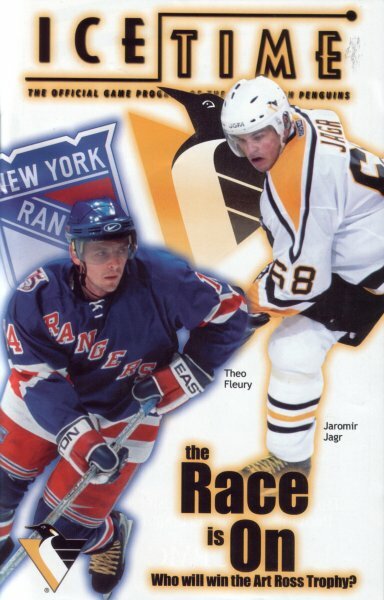 The Rangers have their share of superstars in the shape of Mark Messier, Theroen Fleury, Brian Leetch and ex-Penguin Petr Nedved. As mentioned earlier the atmosphere in the arena for this one was much improved over the previous games due to the increased number of away fans in the arena and the rivalry between the two teams. 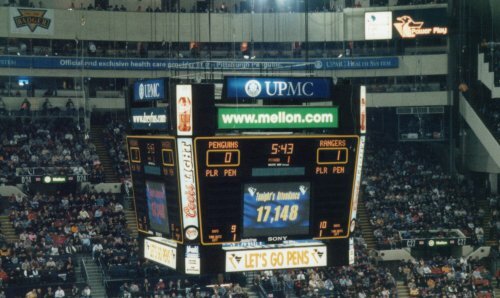 In a game that swung backwards and forwards the Penguins were eventual 6-4 winners - our first regulation win and another goal from Mario - almost a carbon copy of the one against Florida - again on the power play. But, the night belonged to ex-Ranger Alexei Kovalev who scored a hat-trick against his old team. The sight of the hats raining onto the ice is one to behold and one I’m glad we got the chance to see. 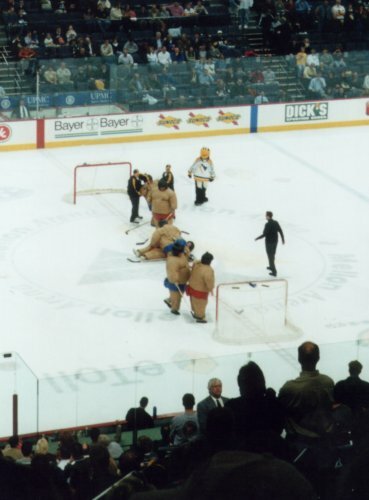 As I am that we were there for the sumo hockey!! Now that’s what you call period break entertainment. The only problem I have now is getting back to the States, Pittsburgh in particular, and seeing some more NHL games!!! Those of you that are fortunate enough to watch any NHL team on a regular basis should realise how lucky you are to watch the big show week in, week out!! I’ll have to make do with middle of the night TV coverage for now! !